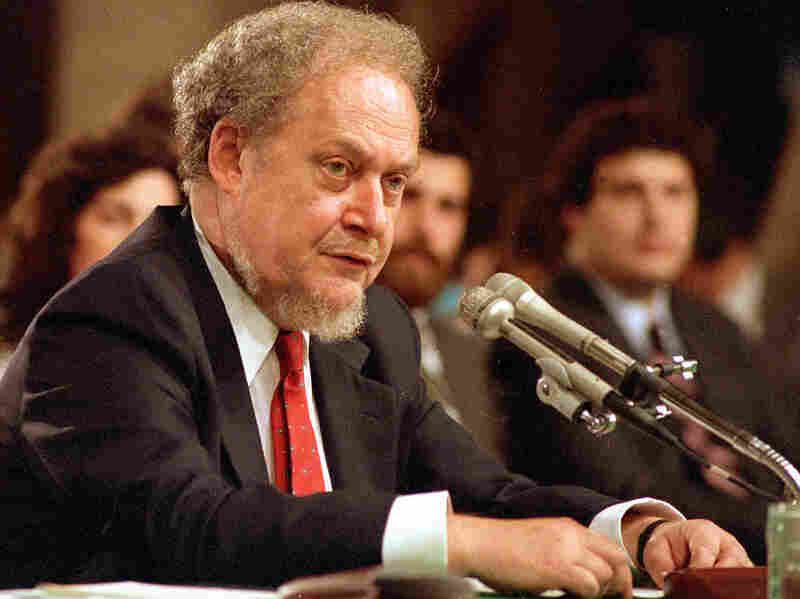 Robert Bork, Who Was Turned Down For Supreme Court, Dies : The Two-Way His 1987 nomination hearing was a hotly contested battle of ideas. "On a whole host of subjects, from individual privacy to civil rights, he defied the conventional wisdom and said the Supreme Court had been wrong," NPR's Nina Totenberg has said. The Senate turned Bork down by a vote of 58-42. 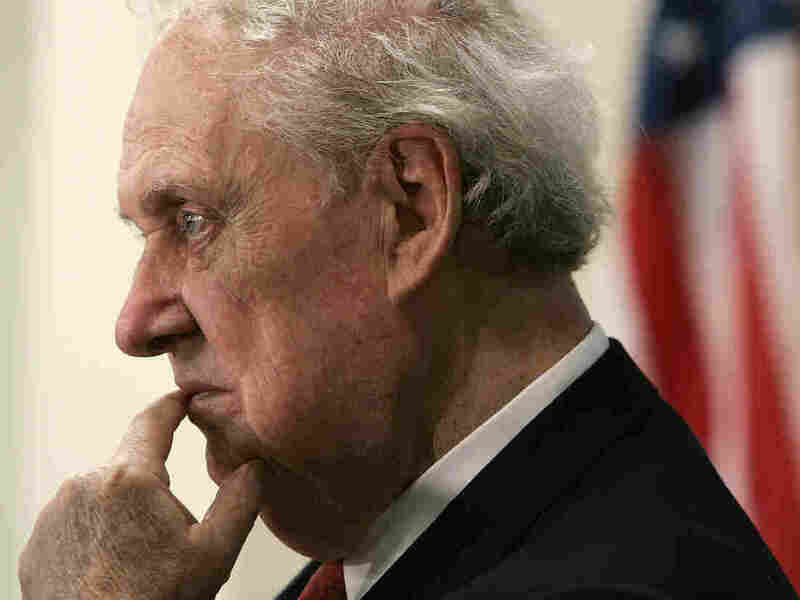 Robert Bork, who was at the center of Senate hearings that "marked the modern battle lines over judicial nominations," as NPR's Nina Totenberg has said, is dead, according to The New York Times, Fox News and The Associated Press. Bork, a hero to conservatives, was 85. His family has told those news outlets of his death. The Washington Post adds that Bork died "of complications from heart disease" at Virginia Hospital Center in Arlington, Va. It confirmed Bork's death with a daughter-in-law, Diana Culp Bork. As the Post says, "for decades, decades, Judge Bork was a major architect of the conservative rebuttal to what he considered liberal judicial activism." Judge Robert Bork in September 1987, at the Senate hearing on his nomination to the Supreme Court. Robert Bork III tells Fox his grandfather "was just a great person to talk to. He was open to conversation and I looked forward to seeing him." It was in 1987 when President Reagan nominated Bork to the Supreme Court. "In the '50s, '60s and '70s, there may have been, and there were, ideological objections to nominees," Nina has previously reported on Morning Edition. "Conservatives, for example, thought Abe Fortas was too liberal and too close to President Johnson. Southerners opposed Thurgood Marshall because of his role in the civil rights movement. In the Nixon administration, Democrats defeated two Supreme Court nominations, but in each of these battles, the opponents framed their opposition in non-ideological terms, ethical lapses or conflicts of interest, things of that sort." "On a whole host of subjects, from individual privacy to civil rights, he defied the conventional wisdom and said the Supreme Court had been wrong. Although the Democrats led the charge against Bork, they were joined in the end by six Republicans. But on the whole, the Bork nomination fight was a turning point. Republicans by and large were enraged by the attack on Bork. Conservative groups took the Bork fight sort of as a call to arms, and they have over the years since made control of the courts their rallying cry. ... In a way, it's the legacy of the Bork fight." The Senate rejected his nomination by a vote of 58-42. He will also be remembered for his role in the so-called Saturday night massacre during Watergate. Bork, then the solicitor general and third-ranking official in the Justice Department, fired special prosecutor Archibald Cox on orders from President Nixon. The attorney general and deputy attorney general had refused to follow Nixon's wishes.